My son Eli was diagnosed with Infant Acute Lymphoblastic Leukemia (ALL) when he was just three months old. Those first three months of his life were spent seeing specialists in Springfield, IL, trying to figure out what was wrong. 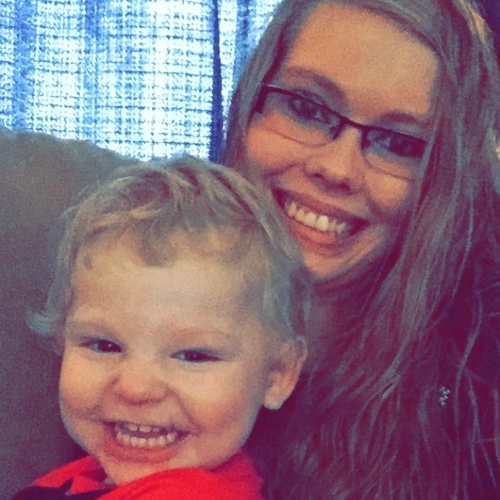 My baby was mis-diagnosed -- twice! We were first told his tumor - the size of a baseball on the back of his newborn head - was a hemangioma (a birthmark that rapidly grows and disappears by the age of three). One month later, he developed bumps around his neck. He just seemed lifeless, like he wasn't even in his little body. No cooing or smiling; no making eye contact. We were sent to another specialist where we were told he had lymphoma, and he needed to start chemotherapy immediately. Upon starting chemotherapy, we were told he had an Immune Deficiency Disorder and that we were being transferred to Cincinnati Children's Hospital because they were more equipped to care for my son. Tests in Ohio revealed conclusively that my son had Infant Leukemia. What started as a seven-week chemo treatment ended up being two years of chemo. We spent seven straight months in Cincinnati Children's. My son saw the same four walls everyday. To protect his fragile immune system, Eli NEVER left his room. From most of Eli's first year of life, we lived 7.5 hours from our entire family. I spent many nights awake, sitting in a hospital chair, listening to all the beeping machines, watching the poison drip into a clear line that lead straight to my sleeping baby and thought to myself: "Is this really our life?" In March 2016, my son finished his two year chemotherapy treatment. Two-year-old Eli is in REMISSION.